Professor Mañas is the Head of the Department of Geriatrics at Hospital Universitario de Getafe (Madrid), President of the Research Committee at Hospital Universitario de Getafe and Professor "ad honorem" of the Department of Medicine of the School of Medicine, Facultad de Medicina de la Universidad Autonoma de Madrid, Spain. 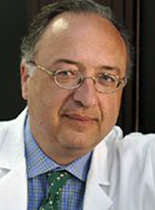 Professor Mañas holds many other key positions including coordinator of the Spanish Collaborative Research Network on Aging and Frailty - RETICEF (Ministry of Science and Innovation), co-director of the epidemiologic study “Toledo Study on Healthy Ageing” involving 2845 community-dwelling older people and founding member and President of the Academia Latinoamericana de Medicina del Adulto Mayor (ALMA). Professor Mañas is the principal investigator in 23 research projects sponsored by either a public agency or the pharmaceutical industry. His research focuses on the clinical investigation of human vascular (endothelial) ageing and on the mechanisms of vascular damage in diabetes. He has authored more than 110 original articles in peer-reviewed journals, and 54 books and book chapters. Professor Mañas has also produced Technical Reports on several aspects of ageing and on diabetes in the senior population. Professor Sinclair is a World Health Organization (WHO)-recognised expert in diabetes. He was appointed to the International Association of Gerontology and Geriatrics (IAGG) Expert Group on Frailty in 2014 and the International Diabetes Federation appointed Professor Sinclair to co-lead production of the Global Guidance on Managing Diabetes in Older People. Professor Sinclair was Dean and Professor of Medicine of the Bedfordshire & Hertfordshire Postgraduate Medical School, University of Bedfordshire, United Kingdom. He was Diabetes Programme Lead for the Geronto-Net consortium, an EU-wide network of 25 Centres of Excellence for conducting studies in older people. Professor Sinclair was the first to be appointed by the Department of Health to National Clinical Lead for Diabetes in Older People. He is currently leading discussions for the Joint British Diabetes Societies (JBDS) with the Care Quality Commission (CQC) for developing quality diabetes standards in UK care homes. He established the Institute of Diabetes for Older People (IDOP), a major platform for national and international research and translational work, and he also leads the development of the Older People’s Diabetes Network (OPDN) alongside NHS Diabetes. Professor Izquierdo is a professor and Head of the Department of Health Sciences of the Public University of Navarra. He also holds an appointment as professor of Sport Biomechanics at the Centre of Studies of the Spanish Olympic Committee. 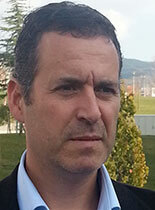 Between 2005 and 2010, Professor Izquierdo was the Head of the Unit of Research of the Research, Studies and Sport Medicine Center of the Government of Navarra. His current research interests include the neuromuscular biomechanics of muscle strength and power with special interest in strength training in both the elite athlete and the aging human. He has authored more than 120 original articles in peer-reviewed journals. Dr Andrej Zeyfang is the Head of the Department of Internal Medicine and Geriatrics in the Competence Center for Geriatric Medicine at the Agaplesion Bethesda Hospital (Stuttgart, Germany). He obtained his degree in Medicine at the Università Cattolica (Rome, Italy) and then specialized in internal medicine, clinical geriatrics and diabetology in Stuttgart (Germany). Between 1998 and 2006, he held the appointment of Senior Doctor at the Clinic for Geriatric Rehabilitation in Aalen and at the academic hospital of the University of Ulm (Germany). Since 2002, Dr Zeyfang is the chairman of the Special Interest Groups (SIG) ‘diabetes and geriatrics’ at the German Society of Diabetes and the head of the SIG ‘Diabetes’ in the German Society of Geriatricians. 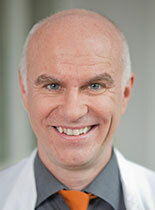 He is also a member of the Scientific Advisory Board of the German Foundation for Diabetes. Dr Zeyfang has authored more than 50 publications in peer-reviewed journals, numerous book chapters, books on geriatric medicine for students and an educational programme for older people with diabetes. Dr Marta Castro is a Geriatrician in the Department of Geriatrics at the Hospital Universitario de Getafe (Madrid) where she combines clinical work with research and teaching appointments. Dr Castro is also an Associate Professor of Geriatric Medicine in the School of Medicine of the European University of Madrid. Dr Castro received training in Geriatric Medicine at the same hospital where she works and also in the United Kingdom under supervision of Professor Alan Sinclair. Her research focuses on the clinical investigation of human vascular (endothelial) ageing and on the mechanisms underlying vascular damage in diabetes. She is a member of the management committee of the Spanish Scientific Society of Geriatric Medicine, the European Union Geriatric Medicine Society (EUGMS) and the American Academy of Geriatric Medicine (ALMA). She has authored original articles and book chapters. Dra. 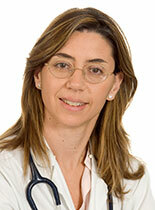 Olga Laosa is a specialist in clinical pharmacology. For 10 years Olga has worked as a co-Investigator and co-ordinator of Phase I clinical trials in healthy volunteers as part of a clinical team, taking trials from inception to completion. Her responsibilities include study design, protocol writing, CRF preparation, sample size calculation, preparation and development of trials, randomisation processes, managing the study process, pharmacokinetic and statistical analysis and writing the final report. She is currently working with Dr. Rodriguez Mañas on developing a clinical trials unit to conduct clinical trials in elderly patients. Olga was responsible for writing the MID-Frail study protocol and is co-ordinating the progress of the study until site initiation, when management responsibilities are handed over to Karen Chalk at Niche Science & Technology. Olga is also managing the study at the Hospital de Getafe, along with Dr. Rodríguez Mañas and the other geriatricians in the team. Dr Bayer is Head of the Section of Geriatric Medicine within the School of Medicine at Cardiff University & is Regional Lead of OPAN (Older People & Ageing Clinical Research Network). He has over 20 years’ experience undertaking and co-ordinating clinical trials in older people, especially in those with physical and cognitive frailty, including complex interventions and diabetes. Dr Bayer has also published extensively on methodological & ethical issues in research with elderly people and co-ordinated EC-funded projects, INFOPARK and DOE. Mr Segarra has headed the company IGEN Biotech since 2008, where he has led several projects, some in collaboration with other companies and research centres. He is also a member of several working commissions of ASEBIO, member of the Innovation Committee of the Ramón y Cajal Institute of Health Research and has been advisor to the Madrid Science Park. Before moving to IGEN Mr Segarra worked as a consultant, participating in projects in several sectors and countries. Professor Bourdel-Marchasson is a professor of geriatrics with special interest in the care of older people with diabetes and prevention of disability and in general quality of life. She is the head of a 35‑bed for acute care and a day hospital. The main topic of research is muscle metabolism and muscle function in ageing with the use of clinical trials, nuclear magnetic resonance imaging and bioenergetics. 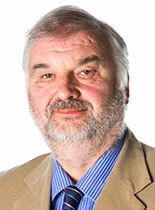 Dr Poustis is a doctor of physics and a chemistry engineer scientist with 30 years’ experience in private industry. Previously, he was Executive Director of R&D and Environment of Jefferson Smurfit Group – Paris France (1995/2006). In 2007 Dr Poustis became the CEO of HEXABIO in France and is active in management, sales, research and development, and consulting. He has written more than 100 communications (including three books) in the last 25 years. Professor Paolisso has focused his research interest to the peculiar aspects of the ageing process, including the relationship between ageing, glucose metabolism and cardiovascular diseases. He has documented experience in the organisation and management of epidemiological and clinical trial studies. With regard to MID-Frail, his research interest is focused on the relationship between age-related cognitive and functional impairment and glucose excursions in older persons with diabetes mellitus type 2. Professor Vellas is Head of the Geriatric Department at the Toulouse University Hospital. He is an expert in the field of cognition, nutrition and sarcopenia, with more than 300 PUBMED references. He is the current President of the International Association of Gerontology and Geriatrics (IAGG). Professor Petrovic is consultant geriatrician and associate professor of Geriatrics and Clinical Pharmacology at the Faculty of Medicine and Medical Sciences, Ghent University. He is a member of the Belgian Society for Gerontology and Geriatrics, the Dutch Society for Clinical Pharmacology and Bio-pharmacy, the European Academy for Medicine of Ageing (EAMA) and the European Union Geriatric Medicine Society (EUGMS). Professor Petrovic possesses experience and expertise in conducting multicentre clinical trials in older adults, in particular with regard to pharmacotherapy. He received the award of the Belgian Foundation for Psycho-geriatrics in 2003 and the GerontoNet (network of excellence for clinical trials with geriatric patients) grant in 2008. He is the author of various book chapters, peer-review publications mainly in the field of drug-related problems in older adults, co-author and co-editor of books, promoter of dissertations and PhD theses and reviewer of several international peer-reviewed journals. Professor Petrovic will serve as local co-ordinator of the project and will participate in data analysis and dissemination. Professor Moreno is Associate Professor and Research Fellow in Health Economics at the University of Castilla-La Mancha. His research work has focused on the Cost-of-Illness, Economic Evaluation of Health Technologies and Public Policies and Public Health Research. He has more than sixty scientific publications. 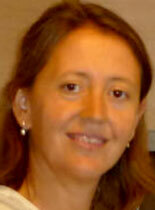 Professor Topinkova is Professor of Internal Medicine/Geriatrics and Public Health at Charles University in Prague. She also serves as chair of the Department of Geriatrics and Gerontology at the Institute of Postgraduate Medical Education in Prague. Professor Topinkova has conducted several EC-funded projects. She will serve as national co-ordinator of the clinical trial, and participate in data analyses and dissemination. Dr Hardman is the Managing Director of Niche Science & Technology Ltd. Dr Hardman is experienced at developing product identity and communication strategies for research programmes. Having worked with various commercial organisations, Tim retains a keen interest in research and continues to publish regularly in the scientific literature. He is a highly experienced medical writer proficient at exploitation of all available scientific vehicles and electronic media to maximise dissemination of brand messages. Professor Gambassi is Professor of Internal Medicine and Geriatrics at the Università Cattolica del Sacro Cuore in Rome, Italy, having worked in the United States for 10 years in the fields of geriatrics and epidemiology. Two projects funded under FP5 (AdHOC) and FP7 (SHELTER), expert evaluator and contributors to current initiative (FUTURAGE). Professor Gambassi will serve as co-ordinator of the research unit and provide constant oversight. Professor Mets is a specialist in geriatric medicine at the Vrije Universiteit Brussel. He has experience in clinical trials, physical training of elderly persons, and laboratory studies focused on inflammatory mechanisms. Professor Met’s research is focused on the domain of clinical medicine (frailty, sarcopenia, dementia, inflammation) and mechanisms of ageing (cellular senescence).